Only 4,345 Miles! Boasts 33 Highway MPG and 26 City MPG! This Nissan Rogue delivers a Regular Unleaded I-4 2.5 L/152 engine powering this Variable transmission. CHARCOAL, CLOTH SEAT TRIM, BRILLIANT SILVER, [Z66] ACTIVATION DISCLAIMER. [U01] PREMIUM PACKAGE -inc: Heated Leather-Wrapped Steering Wheel, Intelligent Cruise Control (ICC), Intelligent Aroundview Monitor (I-AVM), Radio: AM/FM/CD/AUX NissanConnect w/Navigation, Nissan door to door navigation w/3D building graphics and satellite imagery featuring POI search and online premium traffic information, HD radio, SiriusXM Traffic w/premium traffic information, SiriusXM travel link (weather, fuel prices, movie listings, stock info, sports and parking), NissanConnect services powered by SiriusXM, 7" color display w/multi-touch control, Apple CarPlay, Android Auto, SiriusXM Satellite Radio w/advanced audio features, USB connection port for iPod and other compatible devices, Bluetooth hands-free phone system, streaming audio via Bluetooth, hands-free text messaging assistant, over-the-air (OTA) updating for headunit firmware and navigation map software via a Wi-Fi WPA2 connection, Memory Driver Seat & Outside Mirrors , [U35] NAVIGATION MANUAL, [S10] FOG LAMPS, [L92] FLOOR MATS & 2-PC CARGO AREA PROTECTOR -inc: 2-pc front and 2-pc 2nd row floor mats, First Aid Kit, [G01] MARCH SOP SPEC, [B93] CHROME REAR BUMPER PROTECTOR, [B92] BLACK SPLASH GUARDS (SET OF 4), Wheels: 17" Aluminum-Alloy, Wheels w/Silver Accents, Variable Intermittent Wipers. 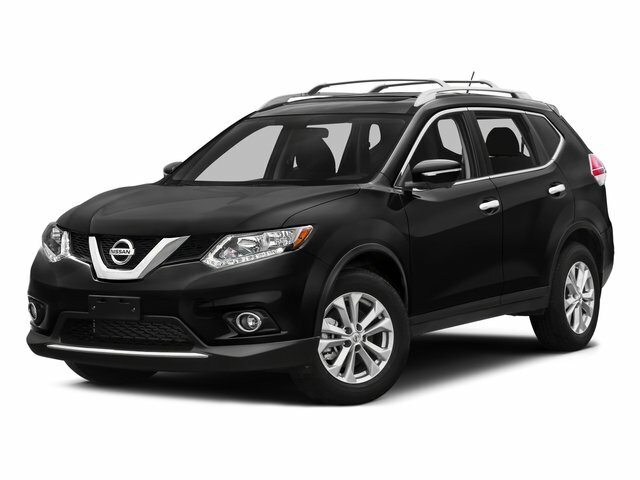 For a must-own Nissan Rogue come see us at Valdosta Nissan, 3715 Inner Perimeter Rd, Valdosta, GA 31602. Just minutes away!